2019 IIER 706th International Conference on Recent Innovations in Engineering and Technology ICRIET will be held in Dubai, UAE during 1st - 2nd September, 2019 as the Conference of ICRIET-2019. ICRIET 2019 is sponsored by International Institute of Engineers and Researchers IIER. It aims to be one of the leading international conferences for presenting novel and fundamental advances in the fields of Recent Innovations in Engineering and Technology. It also serves to foster communication among researchers and practitioners working in a wide variety of scientific areas with a common interest in improving Recent Innovations in Engineering and Technology related techniques. 2019 IIER 707th International Conference on Natural Science and Environment ICNSE will be held in Dubai, UAE during 1st - 2nd September, 2019 as the Conference of ICNSE-2019. ICNSE 2019 is sponsored by International Institute of Engineers and Researchers IIER. It aims to be one of the leading international conferences for presenting novel and fundamental advances in the fields of Natural Science and Environment. It also serves to foster communication among researchers and practitioners working in a wide variety of scientific areas with a common interest in improving Natural Science and Environment related techniques. 2019 IIER 710th International Conference on Advances in Business Management and Information Technology ICABMIT will be held in Dubai, UAE during 1st - 2nd September, 2019 as the Conference of ICABMIT-2019. ICABMIT 2019 is sponsored by International Institute of Engineers and Researchers IIER. It aims to be one of the leading International conferences for presenting novel and fundamental advances in the fields of Business Management and Information Technology. It also serves to foster communication among researchers and practitioners working in a wide variety of scientific areas with a common interest in improving Business Management and Information Technology related techniques. Lexis is pleased to welcome everyone to attend our forthcoming conference Global Meeting on Environmental Toxicology and Ecological Risk Assessment which is going to place during September 11-12, 2019 in the beautiful city state of United Arab Emirates i.e. Dubai. Environmental Toxicology 2019 will provide right platform for the interaction between the experts around the world. The conference aims in gathering renowned scientists, professors and research professionals across the globe under one roof and organize a healthy discussion so that the researchers and authors can present their work at the conference. The conference will focus on environmental challenges and the technologies to deal with them. It is dedicated to developing the highest standards of ethics and proficiency in the field of environmental. ISER- 741st International Conference on Education and Social Science ICESS-2019 is a prestigious event organized with a motivation to provide an excellent international platform for the academicians, researchers, engineers, industrial participants and budding students around the world to SHARE their research findings with the global experts. ICESS 2019 will be held in Abu Dhabi , United Arab Emirates on 27th-28th December, 2019. ISER-726th International Conference on Advances in Business Management and Information Science ICABMIS is a prestigious event organized with a motivation to provide an excellent international platform for the academicians, researchers, engineers, industrial participants and budding students around the world to SHARE their research findings with the global experts. ICABMIS 2019 will be held in Abu Dhabi , United Arab Emirates on 27th-28th December, 2019. 11th&amp;nbsp;International Conference on Grid Computing GridCom-2019&amp;nbsp;Service-oriented computing is a popular design methodology for large scale business computing systems. Grid computing enables the sharing of distributed computing and data resources such as processing, networking and storage capacity to create a cohesive resource environment for executing distributed applications in service-oriented computing. Grid computing represents more business-oriented orchestration of pretty homogeneous and powerful distributed computing resources to optimize the execution of time consuming process as well. Grid computing have received a significant and sustained research interest in terms of designing and deploying large scale and high performance computational in e-Science and businesses. The objective of the meeting is to serve as both the premier venue for presenting foremost research results in the area and as a forum for introducing and exploring new concepts. 8th International Conference On Soft Computing, Artificial Intelligence And Applications SCAI-2019 will provide an excellent international forum for sharing knowledge and results in theory, methodology and applications of artificial intelligence, soft computing. the conference looks for significant contributions to all major fields of the artificial intelligence, soft computing in theoretical and practical aspects. the aim of the conference is to provide a platform to the researchers and practitioners from both academia as well as industry to meet and share cutting-edge development in the field. EARC is organizing a multidisciplinary consortium HMAR 2019 to empower international scholarly community from Science and Social Science disciplines to uncover the state of research and experiment, with the aim of creating new insights. We intend to provide a unique platform to bring together scholars, practitioners, students, experts from educational institutions, companies, and societies to disseminate knowledge and discuss their most recent high-quality research work with other experts in their research fields. Sphere of distinction for engineering and applied sciences provides an opportunity for the delegates to meet, interact and exchange new ideas in the various areas of applied sciences especially on materials engineering and application. Sphere of distinction for engineering and applied sciences aims to proclaim knowledge and share new ideas amongst the professionals, industrialists and students from research areas of materials engineering and application to share their research experiences and indulge in interactive discussions and special sessions at the event. 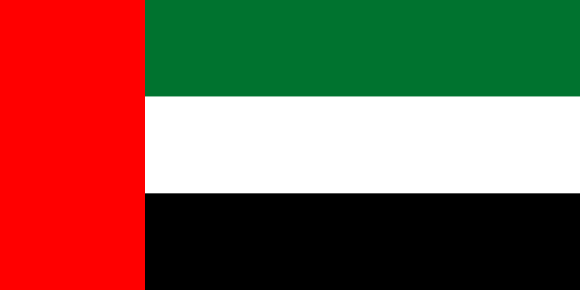 United Arab Emirates a young population with an economy on the move, transforming rapidly into a modern nation, needs a platform to plan and to translate those plans into reality. Today with a larger investments in science, research and developments which can intercept the growing necessity of modernization in social, health, security, scientific and economic sectors, need to have platforms like conferences, seminars , workshops n other related events which can throw light on different areas.